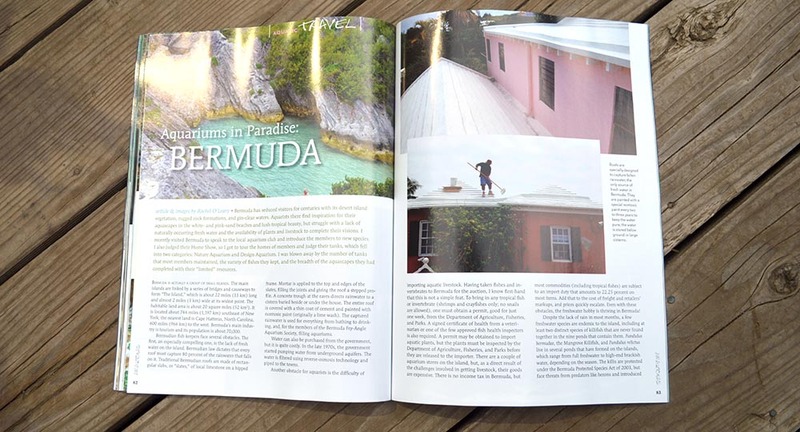 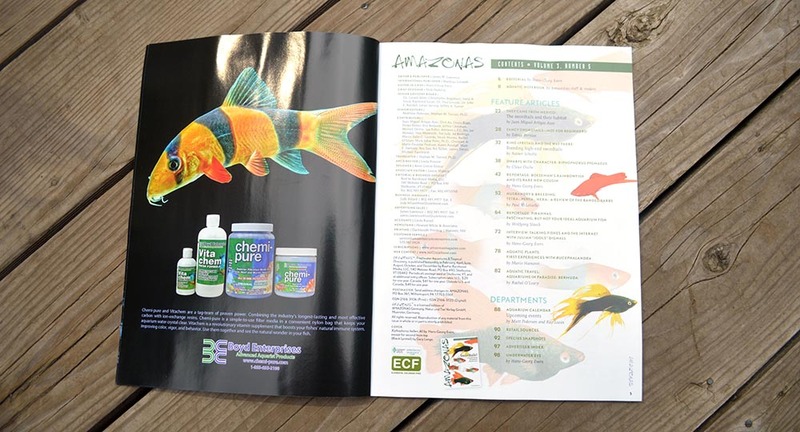 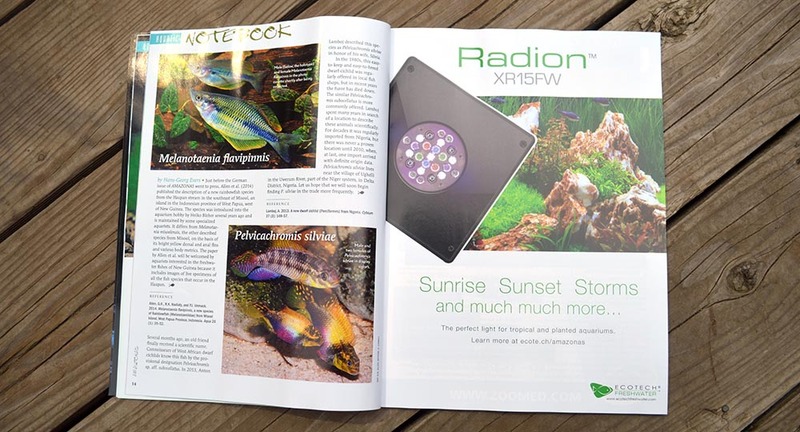 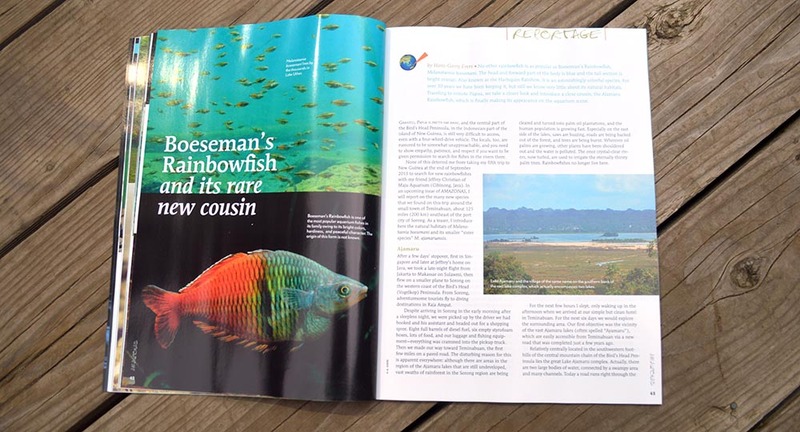 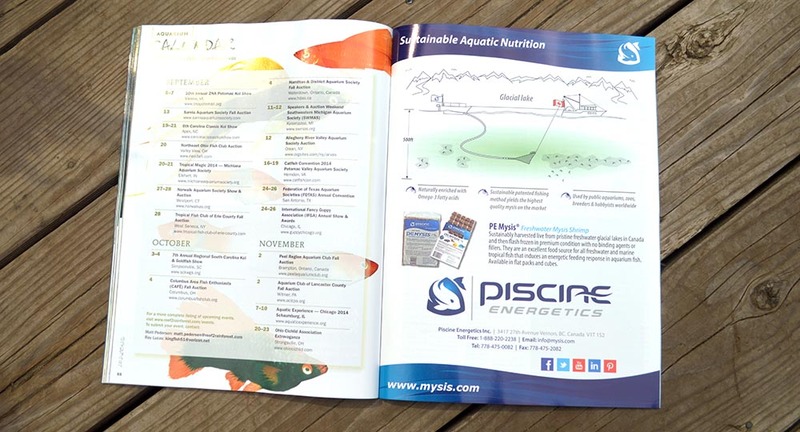 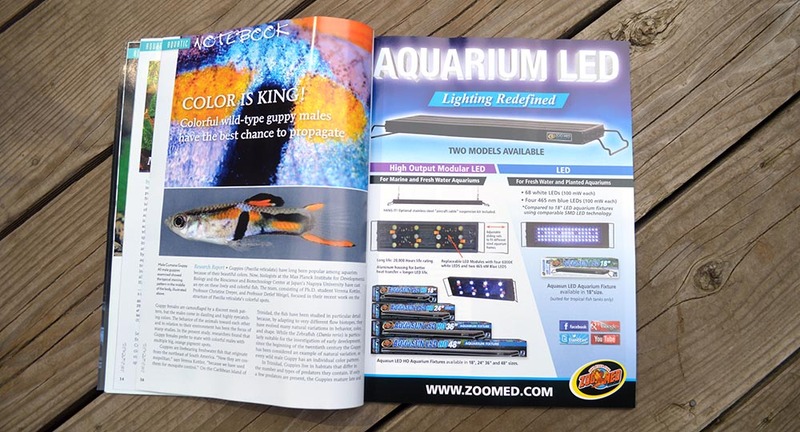 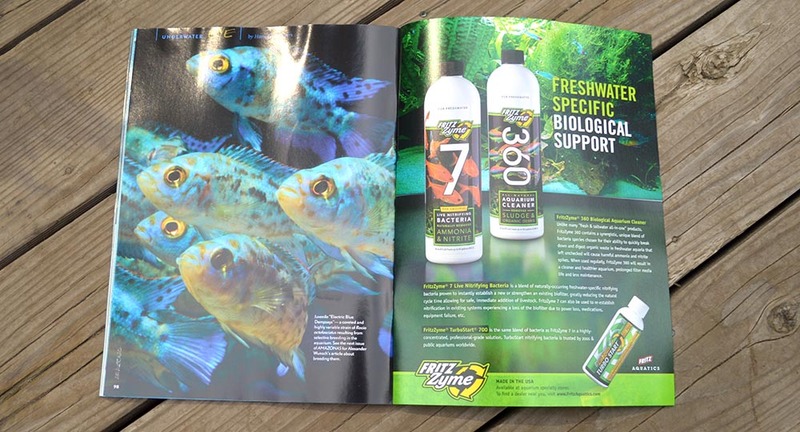 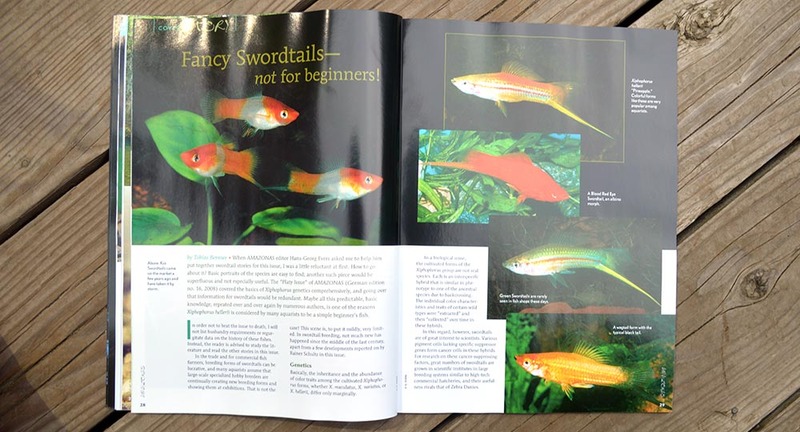 Aquatic Notebook – Color Is King! 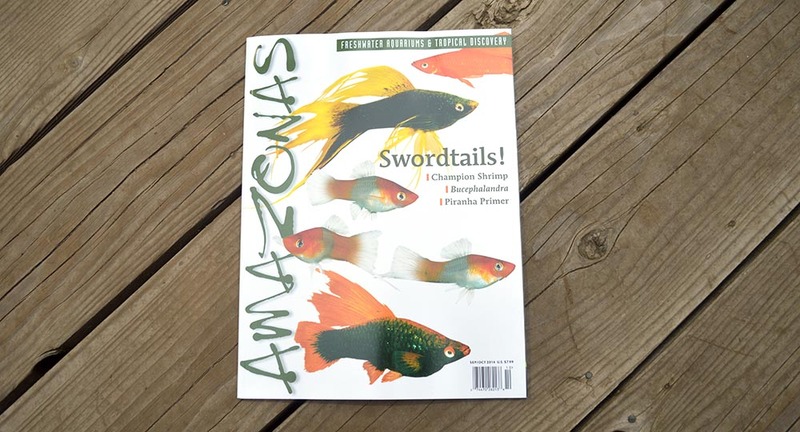 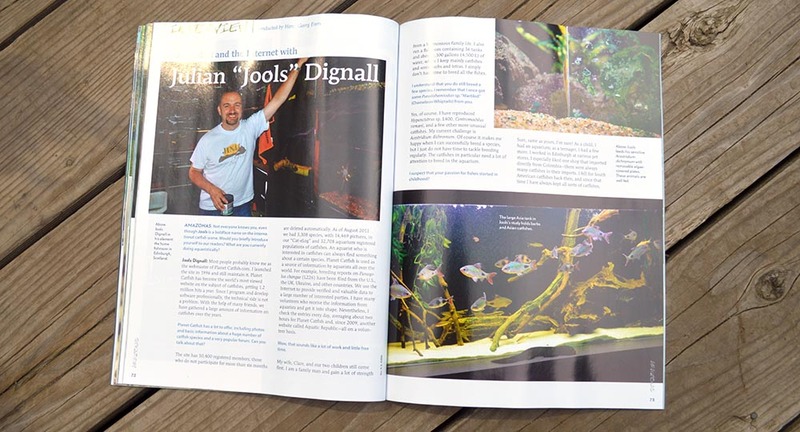 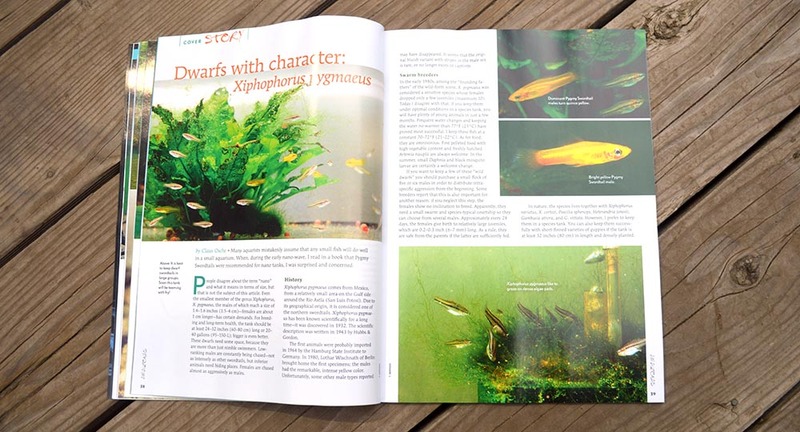 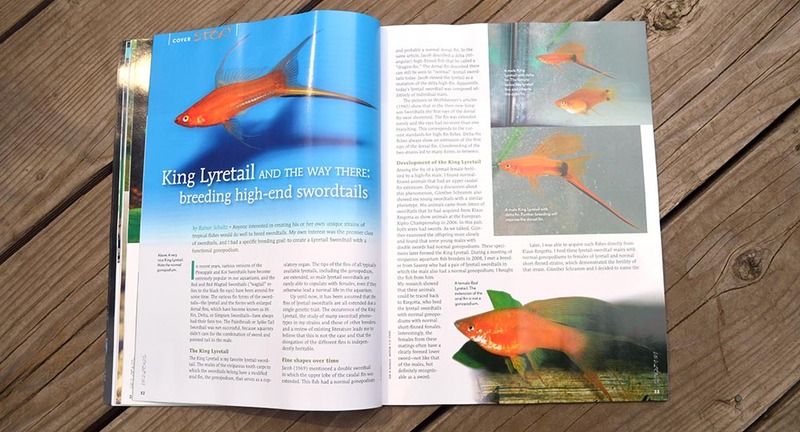 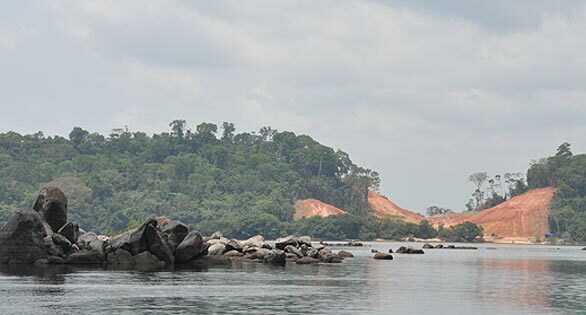 King Lyretail And The Way There: Breeding High End Swordtails, by Rainer Schultz – a look at the path to creating a Lyretail Swordtail with a functional gonopodium. 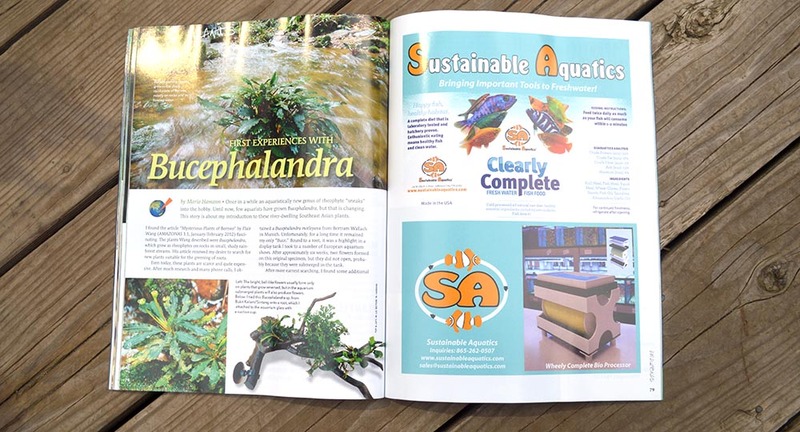 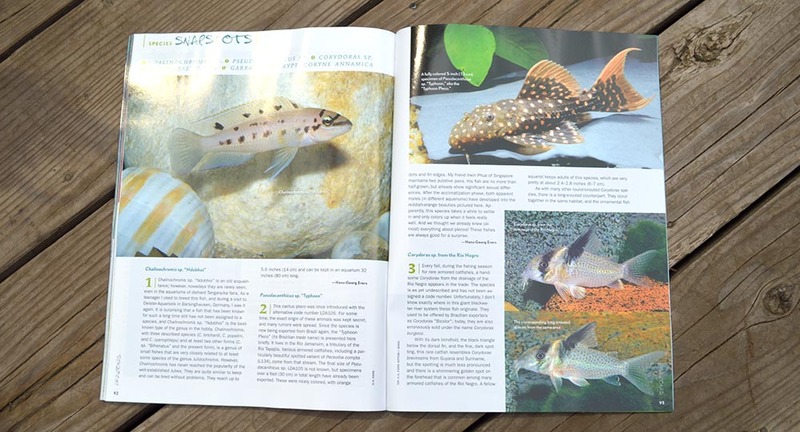 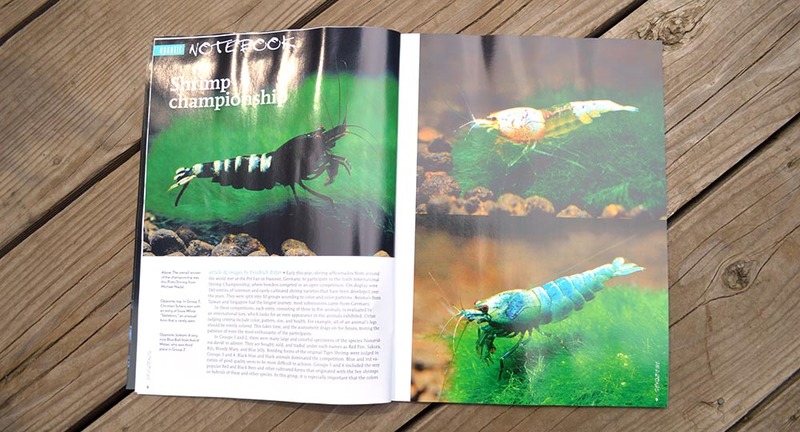 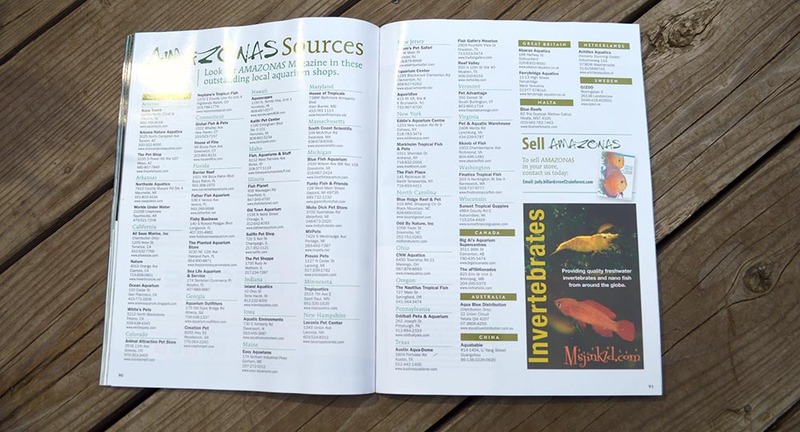 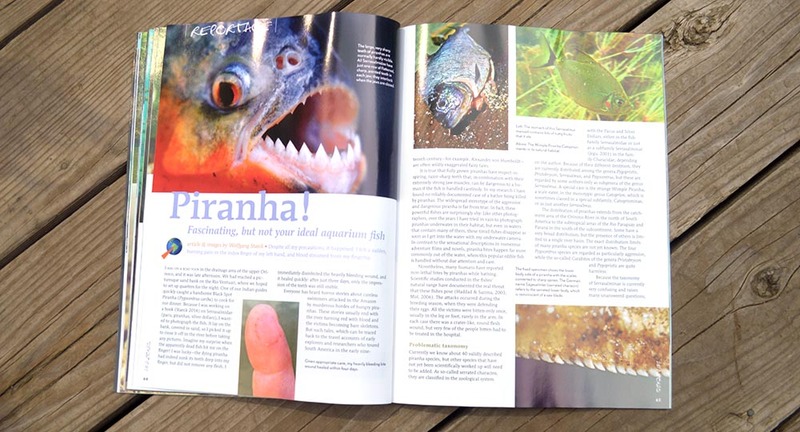 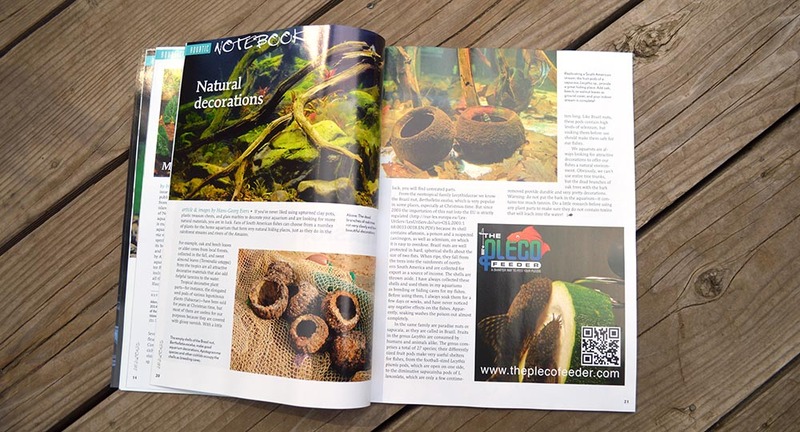 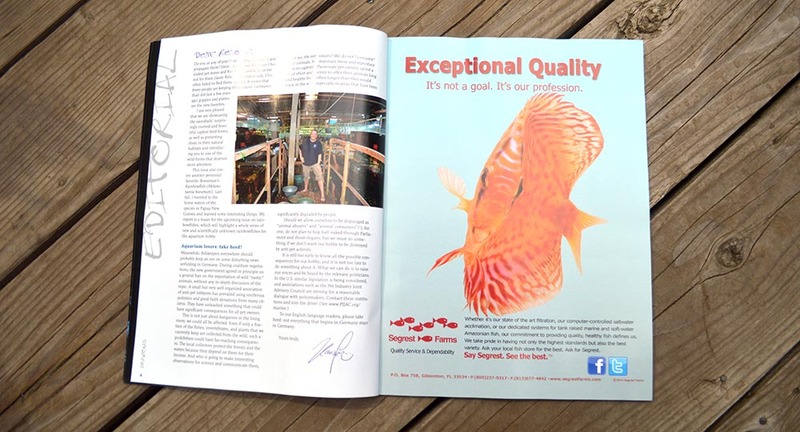 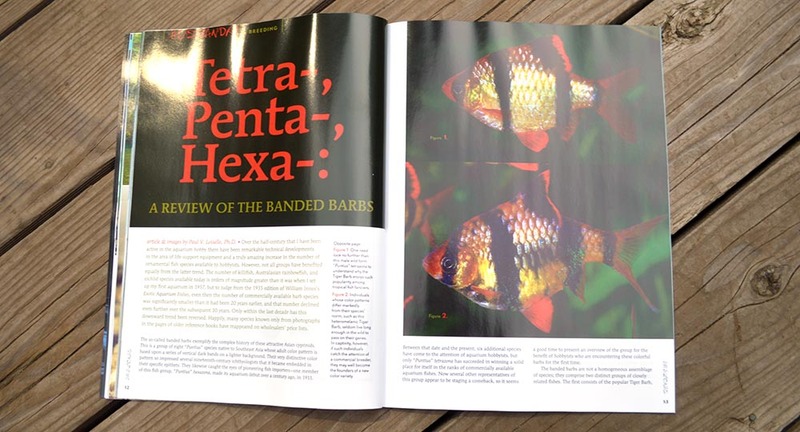 Tetra-, Penta-, Hexa-: A Review of the Banded Barbs, by Paul V. Loiselle, Ph.D.
Aquarium Calendar – compiled by Matt Pedersen & Ray Lucas – be sure to submit your events for consideration! 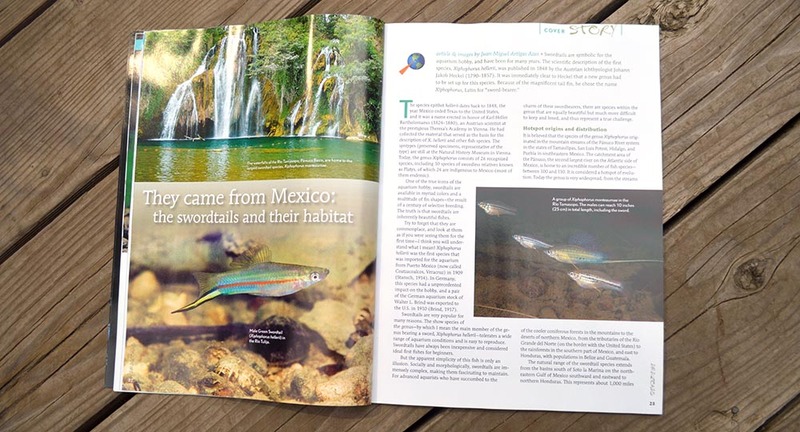 Underwater Eye, by Hans-Georg Evers, features a stunning shot of juvenile “Electric Blue Dempseys”, one of several topics slated for the next issue of AMAZONAS Magazine.